Everyone is declaring that summer is over. But I’m not hearing it. My birthday always falls on Labor Day weekend. Each year, after the leisurely weekend is over, there is a palpable difference in the air. While the warm temperatures sometimes linger through the end of September, it always feels like everyone has bid farewell to the summer state of mind. To me, summer is being outdoors and enjoying every minute of it. Spending the day walking around the city, or going for a bike ride, or laying in the sun at the park. For maximum enjoyment of the best season of the year, I firmly believe that food should be kept simple and light. When you pop back into the house, sweaty and hungry, there should be a bowl of something delicious at arm’s length in the fridge, making it easier for you to get back outside. A summer salad is the answer to days like these. Some fresh-from-the-market vegetables, tart bites of fruit, maybe some greens or maybe not, all roughly mixed together with a simple approach to dressing. Eat it straight from the bowl and head back out the door. 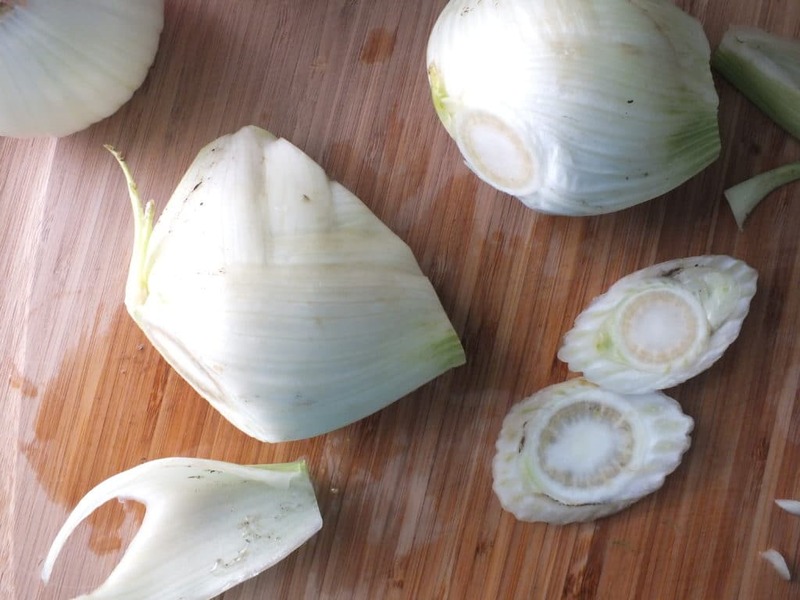 Don’t fear the fennel. Its strong, aromatic presence is subdued by the bite of the citrus and the creamy avocado. As unlikely a match as these ingredients may seem, it all just works. Eat first, ask questions later. 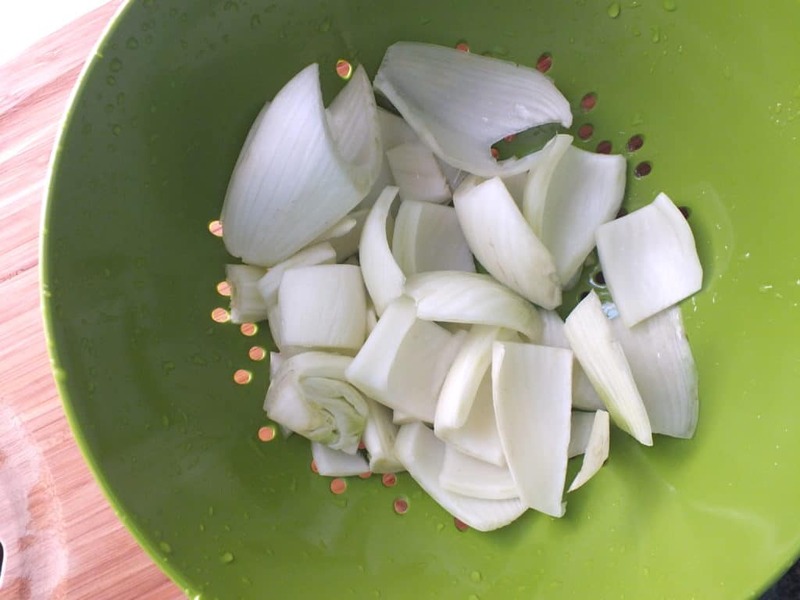 Be sure to wash the fennel thoroughly after chopping it. Dirt has a tendency to weasel its way deep into the layers. 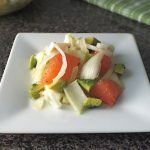 Thin curls of onion add another layer of texture to the salad. They’re not too small to get lost in the mix and not to large to overpower any of the other flavors. Every other bite or so, you’ll get a subtle, sweet crunch. 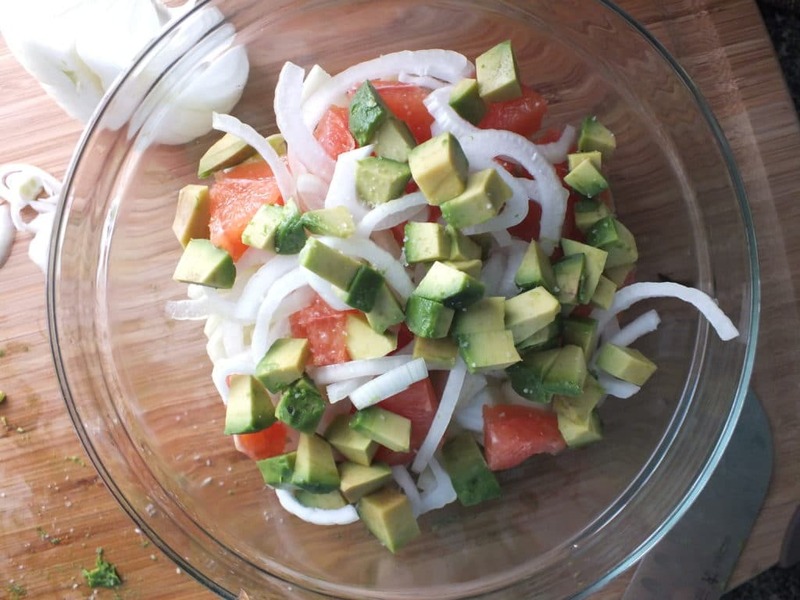 If you haven’t ever tasted avocado and grapefruit in the same bite, you’re in for a treat. The flavors don’t make sense and neither do the textures, yet they combine in a delicious symphony of mouthwatering. 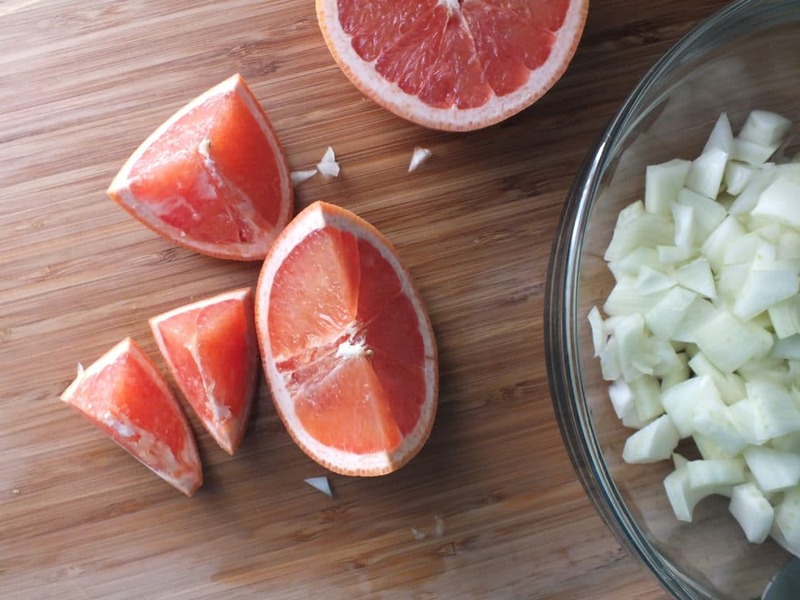 It’s important to use a ruby red grapefruit — it’s just bitter enough without having too much bite. I’ll admit it. I’m stubbornly clinging to every moment of warm sunlight we have left, every jacket-less day, and any chance I get to wear a skirt. I’m refusing to notice the hint of crispness and the cooler nights. There’s just something so bittersweet about September. It’s a month of the most ideal weather, happy birthdays [mine, my mom’s, my best friend’s, and Clark’s grandma’s], and lots and lots of good memories. But it signals the end of my favorite season and the promise of colder months ahead. One last summer salad seemed like the perfect send-off. On a lighter note — it just so happens that this salad is a nutritional champ. 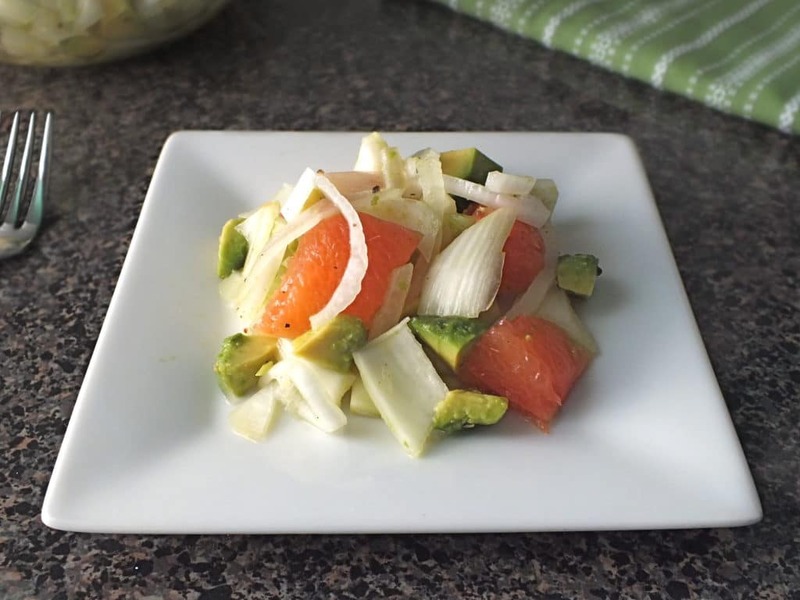 Between the fennel and grapefruit, there is more than 100 grams of Vitamin C. The combination of fruits and veggies offers an impressive balance of fiber and protein, meaning you’ll feel full and energized — ready for more summer fun-having. And the best part? Half of entire salad totals out to less than 150 calories. 1. 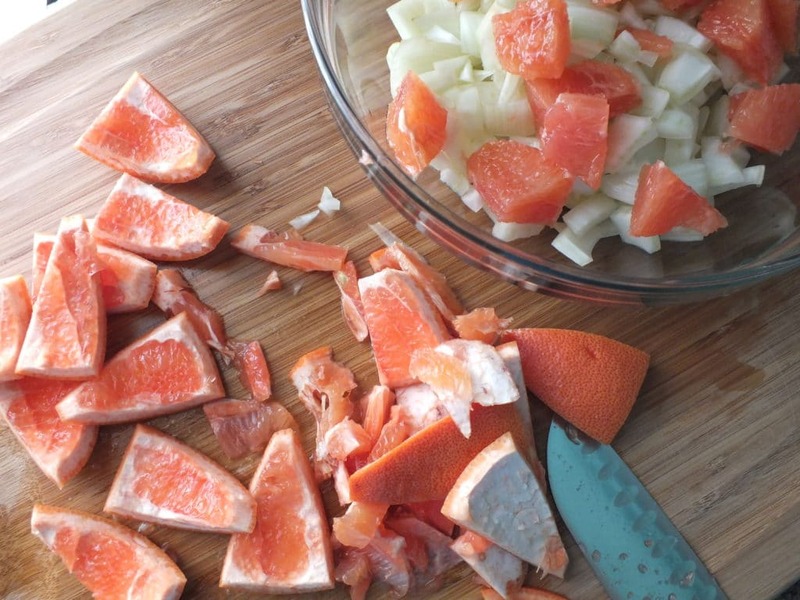 Wash and prepare all of the salad ingredients as described above and add to a medium bowl. Toss gently. 2. In a separate bowl, prepare the dressing. Whisk together the lemon juice, olive oil, sea salt, and pepper until combined. 3. Add the dressing to the ingredients and gently toss until well covered. 4. Serve chilled and store covered in the refrigerator.